Parents Feel ‘Betrayed’ After Teacher Reads Transgender-Themed Books to Kindergarten Class | Have Ye Not Read? In the news article at the link above, you’ll learn how kindergarten teachers in public schools are now reading transgender-themed books to the children without parental permission. And you’ll see the devastating effect this is having on some of the children, and what parents are saying. 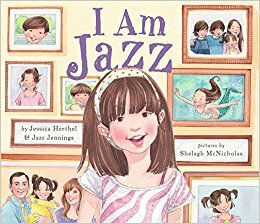 According to reports, the teacher, who has not been publicly identified, read the books ‘I Am Jazz’ and ‘The Red Crayon’ on the second-to-last day of school before summer break. The first book is about teen reality show star Jazz Jennings—a teenage boy who identifies as a girl, and the second tells the story of a blue crayon that was mislabeled red. As I’ve mentioned previously, the new campaign to foist transgenderism on the world is basically a return to the ancient pagan practice of androgyny, which is part of a larger alchemical transformative process called “the great work” or the merging of opposites into a “new way” in order to transform the globe. It’s ultimately part and parcel of the ushering in of global Mystery, Babylon the Great, the Mother of Harlots and Abominations of the Earth, from Revelation chapter 17. For an in-depth Bible study on this topic, see Lucifer: the Divine Androgyne, Ancient God of the Modern Transgender Movement.